What happens when one of Italy's finest houses of craftsmanship, Valentini, meets with the chic design of Australian cult brand J'Aton? You get Valentini by J'Aton, at Chic Parisien through this weekend. Valentini by J'Aton is the latest addition to the Chic Parisien designer family. We picked up this collection after being wowed by the exquisite attention to detail, the perfect fabric choices and delicate touches to these modern gowns with a classic feel. The collection spans silhouettes and styles. There is a chic gown for every kind of bride in this special collection. Above are some of the many dresses that are in store this weekend only (right in time for post-Valentine's Day proposals!). 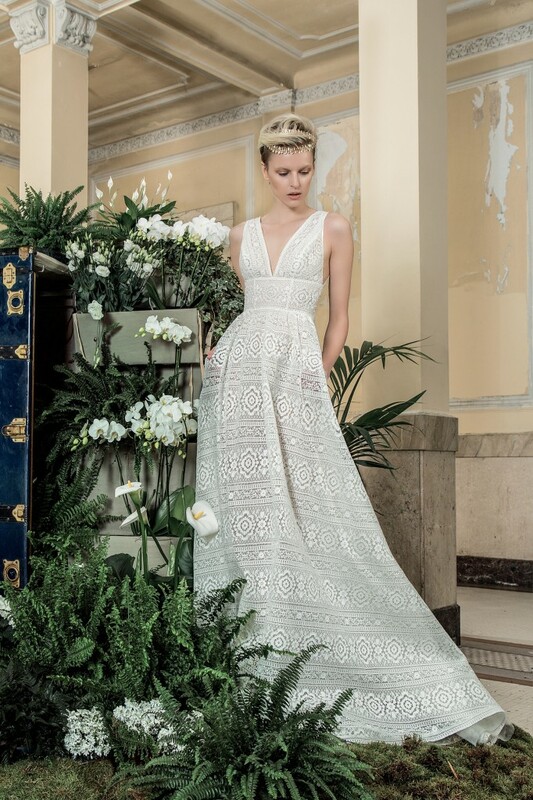 Of course, you can always shop our selection of Valentini by J'Aton gowns all year around but this is your only chance to see this expansive selection of chic gowns.